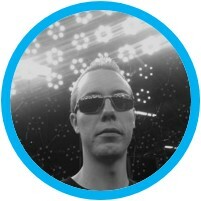 Johan is a developer and VP at Electronic Arts where he leads the SEED research group. For the past 17 years he has been working with rendering, performance and core engine systems at DICE & Electronic Arts and been part of building the Frostbite game engine which is today used extensively across all of Electronic Arts. Johan is also a member of multiple industry & hardware advisory boards and has frequently presented at GDC, SIGGRAPH and graphics hardware conferences on topics such as rendering, performance, game engine design and future software/hardware architectures.